The objective of this tutorial is to help you understand different types of recurring shifts. You can schedule shifts once and have them repeat up to a number of years in various types. 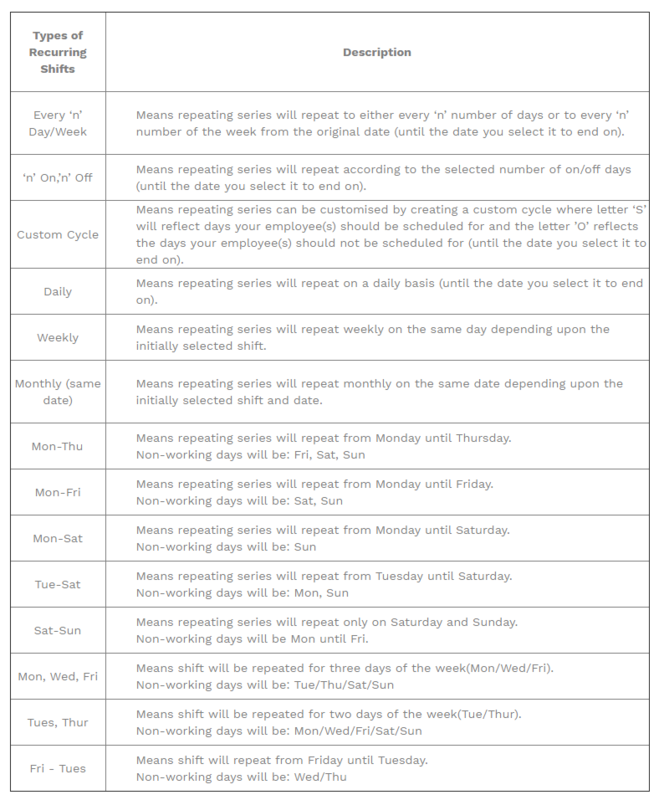 You must have a manager/admin, supervisor and scheduler access privileges to view different types of recurring shifts. Recurring series of shifts is dependent to start upon its initial selected shift. Until Date: You will be able to set here till when you want the shift to be repeated. Shift Time Only: A series of empty shifts will be created so you can assign it to staff later. With Employees: The shift will be set to recur in the future with the current shift's staff assignment.